This is such a brilliant speech. It’s too bad that those who need to pay the most attention have no desire to do so. 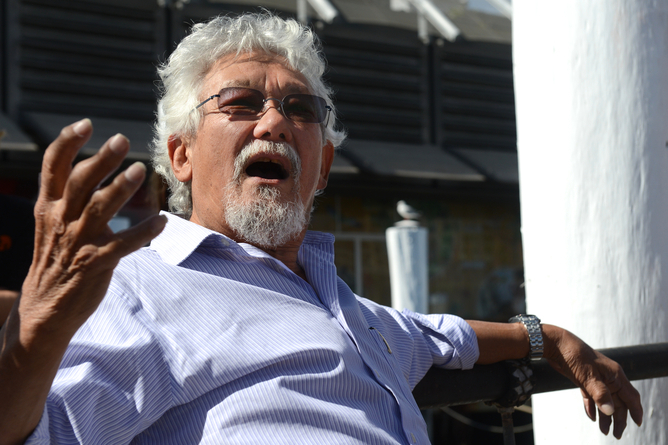 And for something completely different, today a guest post by my hero, David Suzuki……. Despite the enormous success of the environmental movement in the 1960s and 70s, we have fundamentally failed to use each of those battles to broaden the public understanding of why we were battling. It wasn’t just the power of environmentalists against developers, environmentalists against the oil industry. It was because we had a different way of looking at the world. Environmentalism is a way of seeing our place within the biosphere. That’s what the battles were fought over. But we have failed to shift the perspective; or in the popular jargon, we failed to move or shift the paradigm. We are still stuck in the old way of seeing things. Suzuki was completely skewered by a group of sane and rational scientists on the Australian Broadcasting Corp tv. He was embarrassing to watch. Suzuki is a hypocritical showboat. It will be passed onto the consumer, further destroying the middle class, and the biggest offenders will use their influence in government to create and exploit loopholes to their benefit. That’s not to mention their attempts to use it to fund a one world government. You can’t fix something with a broken tool. Our governments are utterly corrupt, the media is simply a PR mouthpiece for corporations to spout their lies as fact. The people you need won’t support environmental concerns as long as they’re working with the people trying to complete the enslavement of this planet. Shouting “save the rhino” while families are quietly being murdered by drones for profit, and I’m supposed to take them seriously? I disagree with a climate tax but I agree that Mother earth is getting rather pissed at our irresponsible behavior and is getting ready to let us live with the results of our stupidity. I’d like to say that things will sort themselves out as they should but I think things are going to get a lot better for the rich everywhere long before they get better for the average person.